About us - Electromind s.a.
Leader in borehole imaging sondes Electromind’s team aims to develop and manufacture slimhole logging equipment for the geophysics industry. Besides the traditional geologging tools, Electromind became a leader in the field of digital imaging sondes. The two top-notch products are its optical borehole televiewer OBI52 and its acoustical borehole televiewer ABI42. Electromind has also developped a new high-speed, low footprint data logger that can interface with other manufacturers sondes. The highly skilled engineers of Electromind also offer R&D design and consultancy services in order to provide hardware or software solutions to specific customer requests. Technical expertise is broad, ranging from precision analog electronics, microcontrollers and DSP, fast prototyping including full in-house assembly up to high speed digital transmissions. 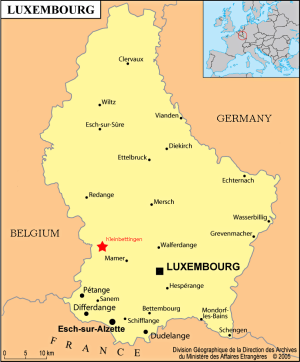 Electromind was founded in 2000 and has its main offices located in the town of Kleinbettingen, Grand Duchy of Luxembourg, a small landlocked country of western Europe, member of the European Union and bordered by Belgium, France, and Germany. Our team of experienced engineers and technicians are available to support your needs anywhere in the world. The maps on the top provide travel indications from Brussels, Luxembourg or Metz-Nancy Lorraine airports. Send us an email at any time. We try to answer emails within one business day. If you have not received a response, please double check that you don’t have any spam filters installed which are blocking our messages to you.